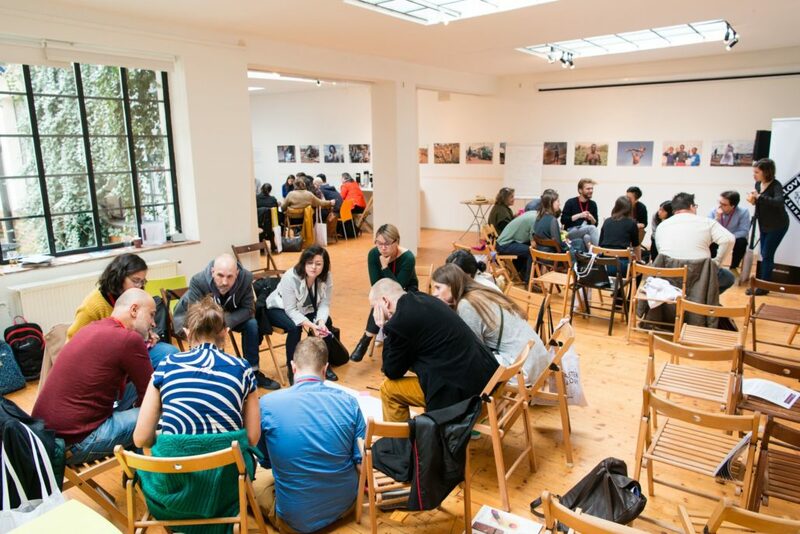 As part of the 21st edition of the One World Film Festival in Czech Republic: Karama Human Rights Film Festival participates in the International Human Rights Film Network (HRFN) meetings. 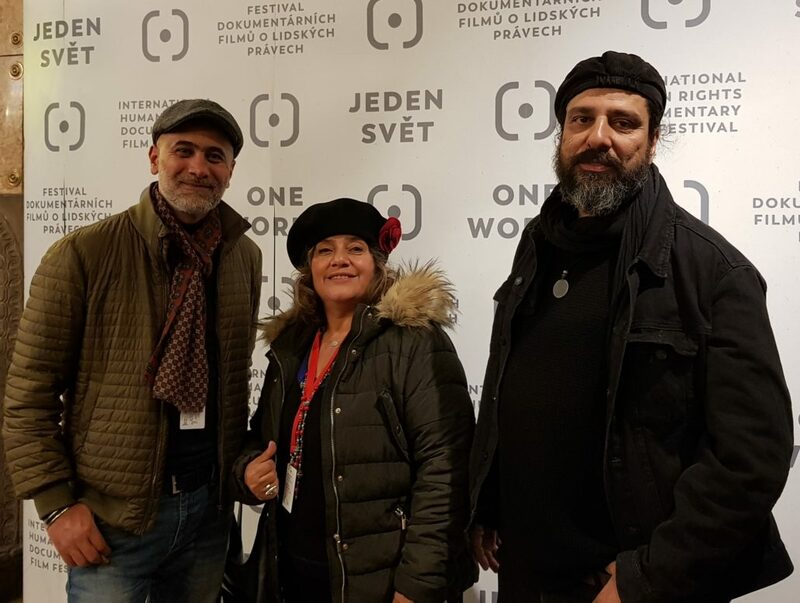 Prague, Czech Republic – 17.03.19- Ma3mal 612 Think Factory’s team participated earlier this week in the One World Human Rights Film Festival, which took place in its 21st edition in Prague, in Czech Republic. 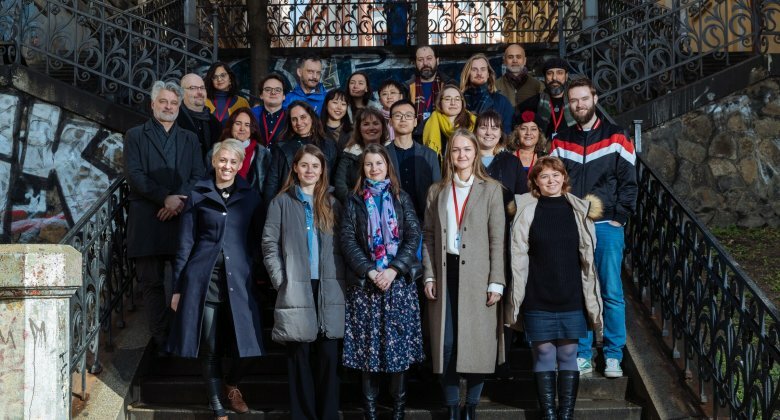 Ma3mal’s team -representing both Karama Human Rights Film Festival, which will be held in its 10th edition in December 2019, and ANHAR: The Arab Network for Human Rights Films- attended the annual meeting of the HRFN, with the presence of other festival organizers from Czech Republic, Poland, South Korea, Lithuania, Jordan, Lebanon, Argentina, Italy, Hong Kong, Hungary, the Netherlands, Scotland, and Russia. The team has also attended other meetings specialized in human rights with the presence of participants from Canada, Germany, USA, Belgium, Indonesia, Kyrgyzstan, Armenia, Macedonia and Nicaragua. Ma3mal team has also networked with filmmakers and producers from all over the world and discussed cooperation possibilities with the Czech team in the coming edition of Karama HRFF in December. The 10th edition of Karama HRFF will be a celebration for 10 years of cinema and audiovisual arts for the promotion human rights in the Arab region, which witnessed remarkable changes since the launch of the festival in its first edition in December 2010, notably the Arab Spring and the outbreak of civil wars and waves of displacement and Refuge -considered the largest in contemporary human history-, as well as and the emergence of terrorist organizations and its implications for human values related to dignity and fundamental human rights. “Through this participation in the One World Festival in Prague, we have noticed the pivotal role that our region plays in the human rights film scene, as well as the quality of the films from the Arab countries. Our participation gave us an opportunity to review our approach in the next edition of Karama, which represents a decade of hard work of promoting the values of human rights in creative and audiovisual arts and empowering a new generation of filmmakers and creators” Said Sawsan Darwaza, Karama HRFF Festival Director. It’s worth mentioning that several festivals have blossomed from the Karama Human Rights Film Festival, such as Karama Beirut, the Red-Carpet Human Rights Film Festival in Gaza, Karama Mauritania and Karama Yemen. Karama is a sister festival of Karama Tunis and the Sudan Independent Film Festival. All these festivals are members of the ANHAR network.